Popping up at Winterville as part of London’s alternative festive experience on Clapham Common, Backyard Cinema’s Christmas Labyrinth is their biggest production to date. Guests will take their festive fate into their own hands as they navigate an enormous magical maze before journeying through a tunnel of trees and discovering a cosy, enchanted forest cinema. As well as festive snacks, mulled drinks and cocktails available inside the screens, Backyard Cinema will also host their very own retro Christmas cabaret bar for guests to enjoy before and after the show. 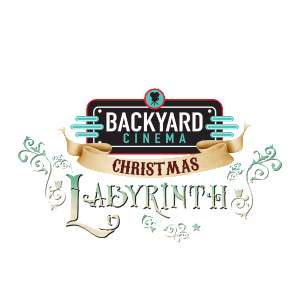 Due to the popularity of last year’s Winter Night Garden, Backyard Cinema will be popping up again at this year’s Winterville with a brand new Christmas Labyrinth. Expanding to not one but two huge cinemas, there will be enough giant bean bag seating for the whole family across both screens. With more chances to catch favourite festive flicks including Elf, Home Alone, Love Actually and The Holiday, as well as singalong blockbusters such as The Greatest Showman, Beauty and the Beast and Moulin Rouge, even the most miserable of Scrooge’s will want to experience the Christmas Labyrinth this festive season. 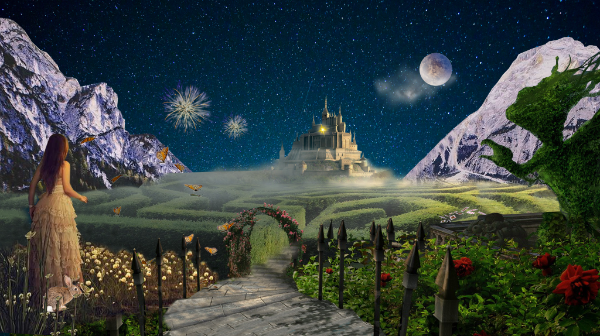 True to its name, Backyard Cinema’s Christmas Labyrinth will feature an enormous 3000 square foot maze, with magic and wonder hidden around every corner. Suitable for all ages, this enchanted web of twists and turns will also be open to non-cinemagoers, with a whole host of secrets and mysteries to discover including singing statues, hidden rooms, and a secret tequila bar. On top of all this Backyard Cinema will be hosting their own Retro Christmas Cabaret Bar packed with performances and live music for guests to enjoy before and after the show.